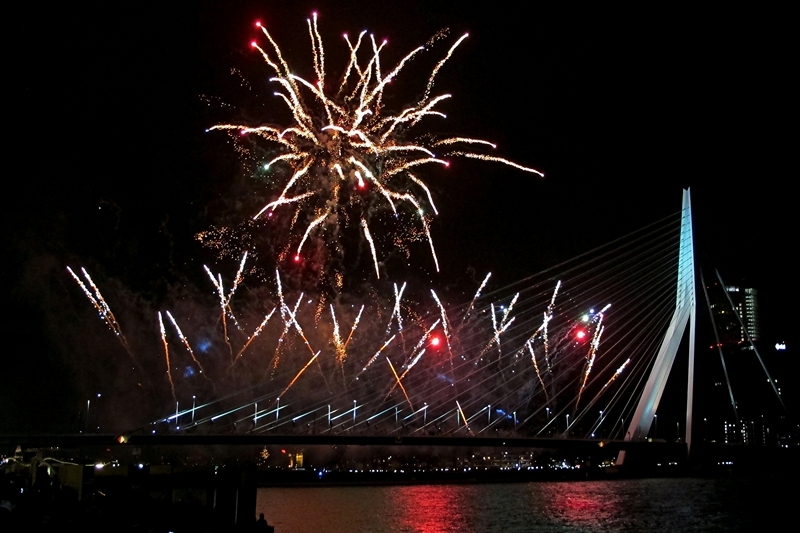 Het Nationale Vuurwerk in Rotterdam is an amazing fireworks show, that becomes more popular every year. 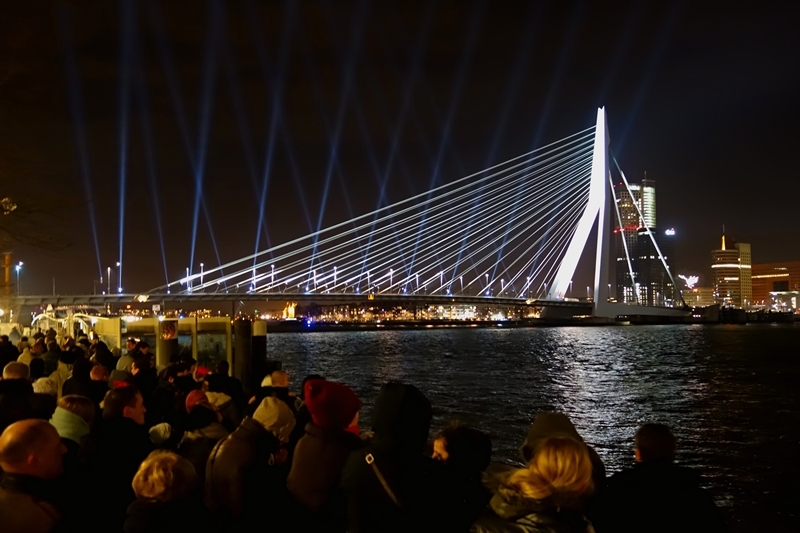 Free public transport by RET subway lines C and E. These lines run every ten minutes, between 22:00 and 02:00. 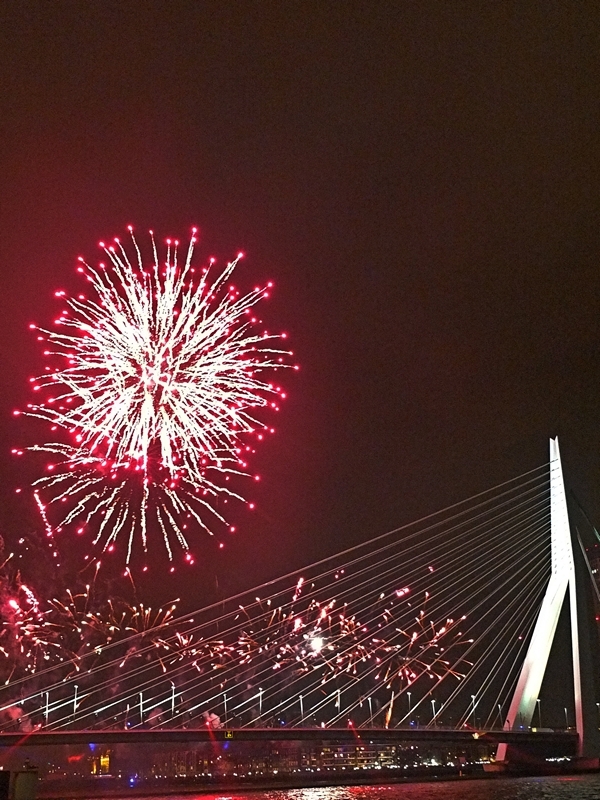 The area around the Erasmusbrug (bridge) is a fireworks-free zone. 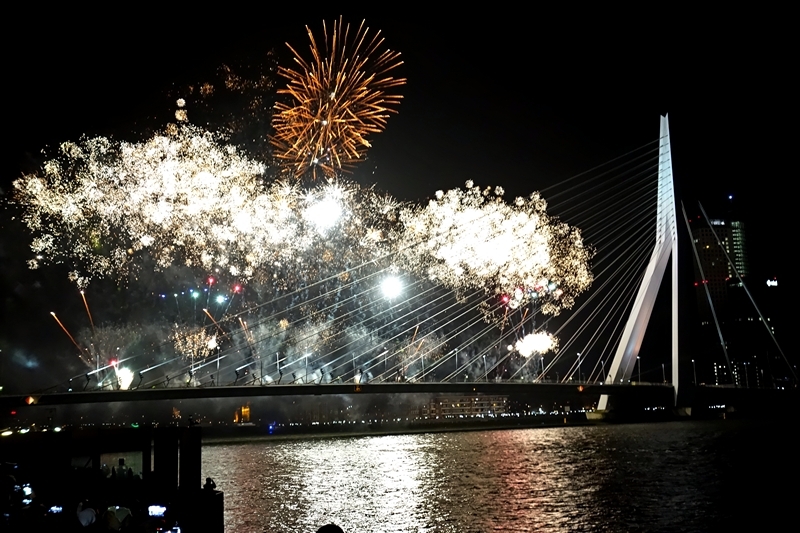 So you are not allowed to ignite your own fireworks in this area. 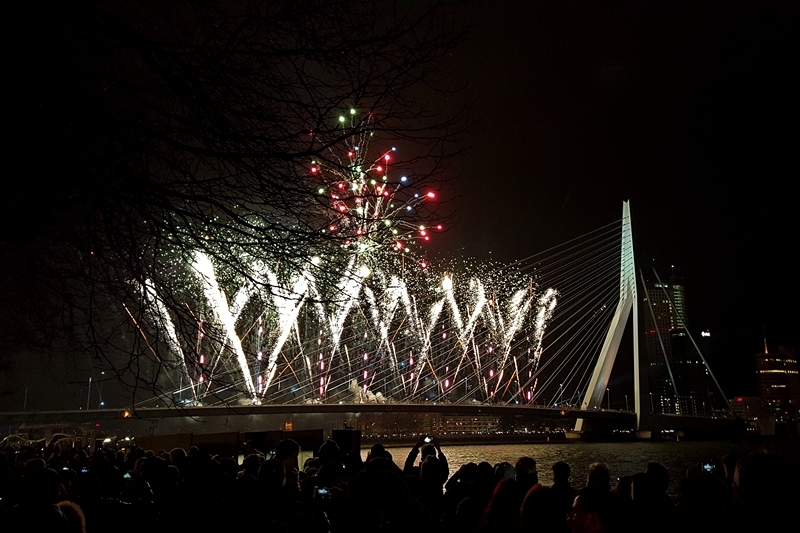 In Rotterdam, every New Year starts of with a big bang. 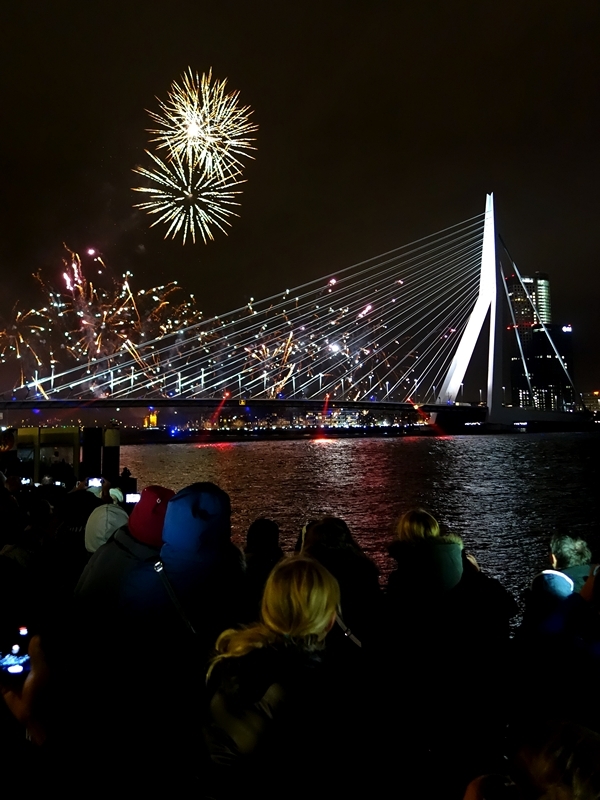 Over 50 thousand people gather around the Erasmus Bridge, to see this biggest fireworks (at least four thousand kilos!) 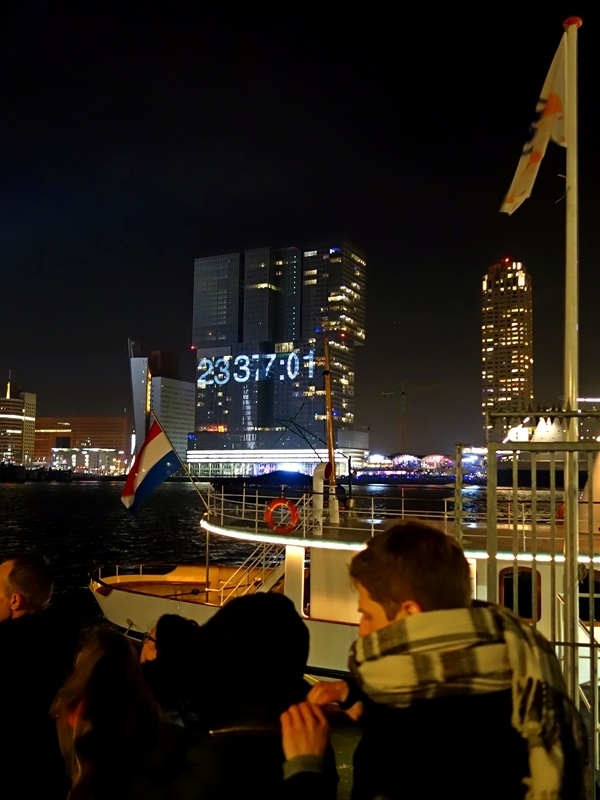 in the Netherlands. 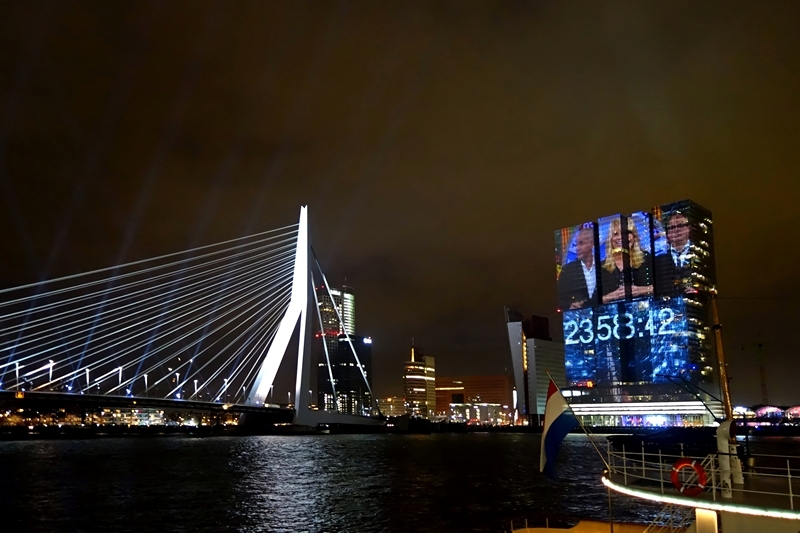 And over 2.5 million people watch the show on television. 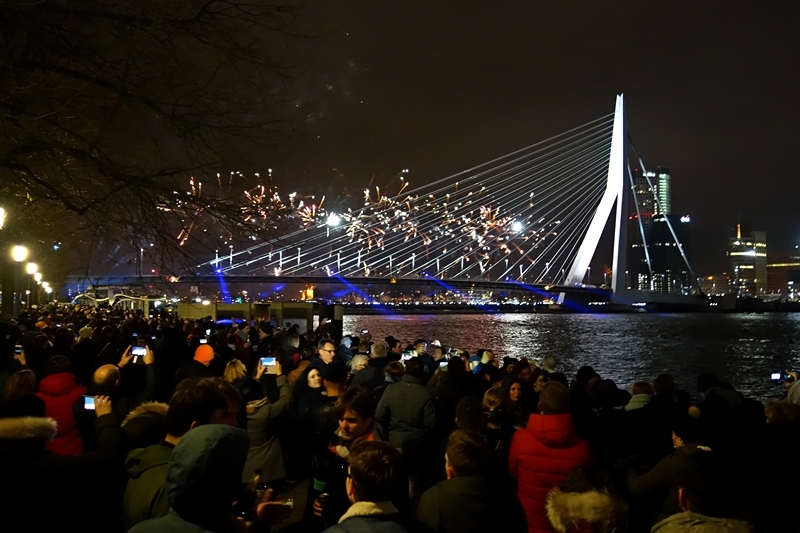 Every New Year’s eve friends and families gather around the Erasmus Bridge. 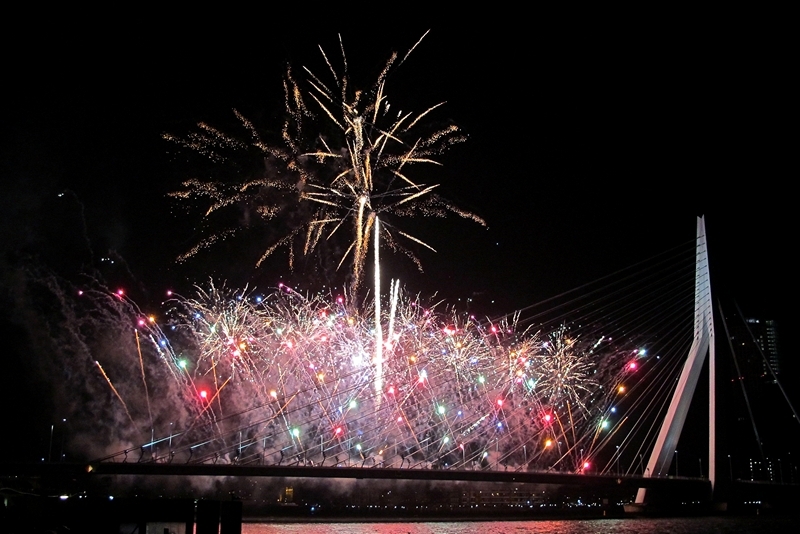 They like to celebrate this special night, and to witness a display of dazzling visuals and sounds. 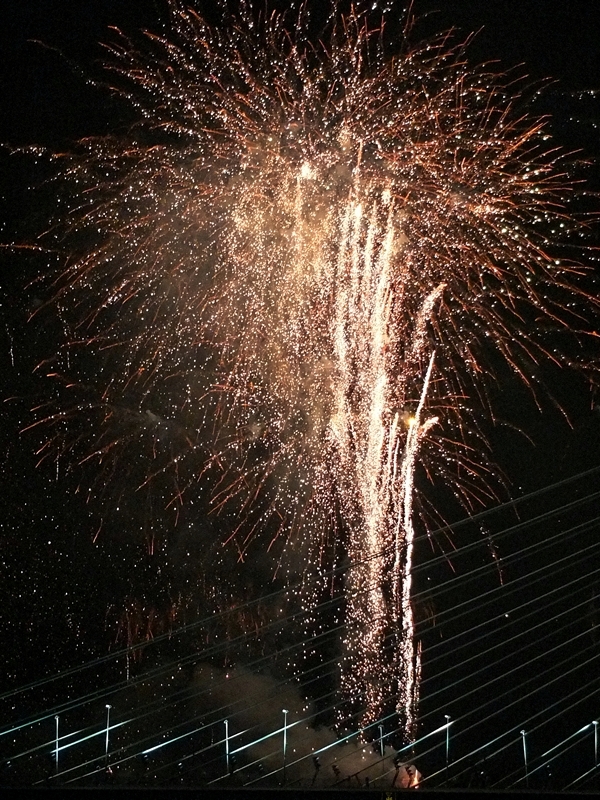 The last ninety minutes are livened up musically by a mix of last year’s biggest hits. 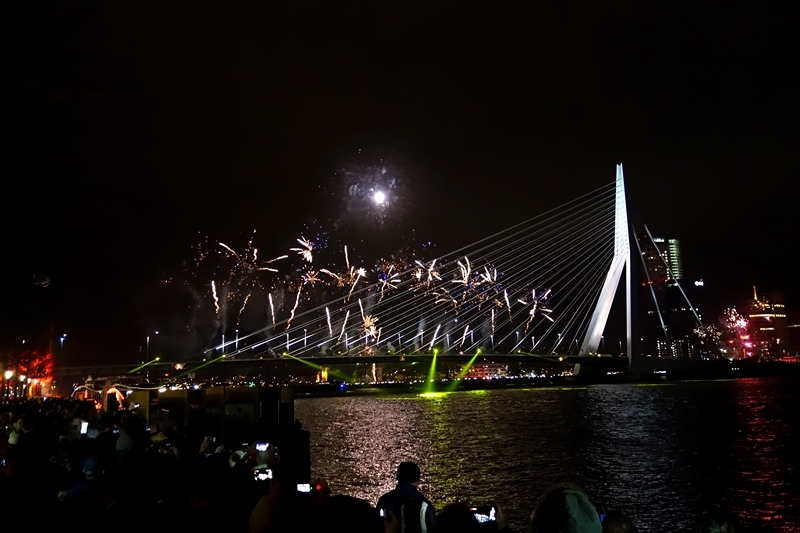 And then, after a public countdown, over 3000 pieces of fireworks illuminate the dark Rotterdam sky. 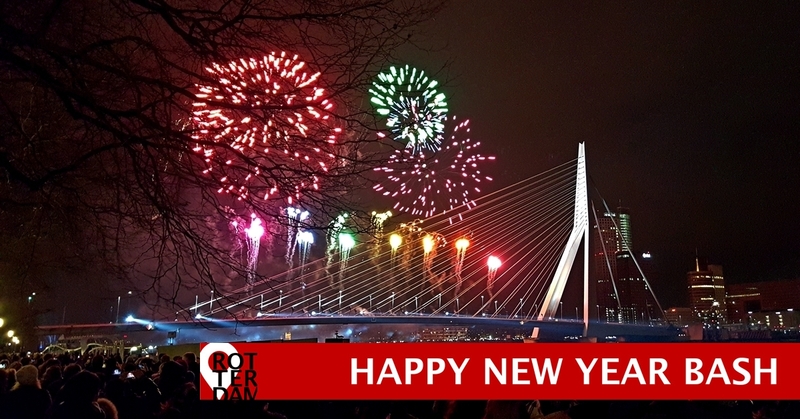 Goodbye 2017, hello 2018. 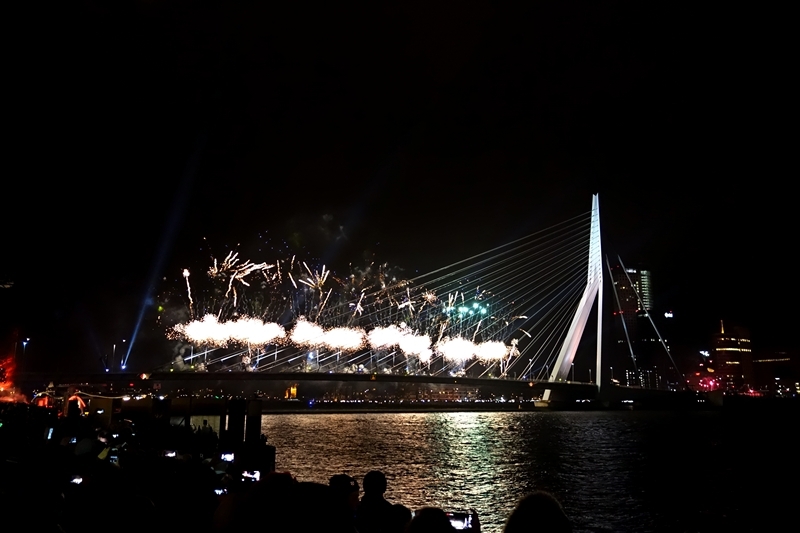 This annual fireworks event along the river Nieuwe Maas is not only popular among Rotterdam citizens. 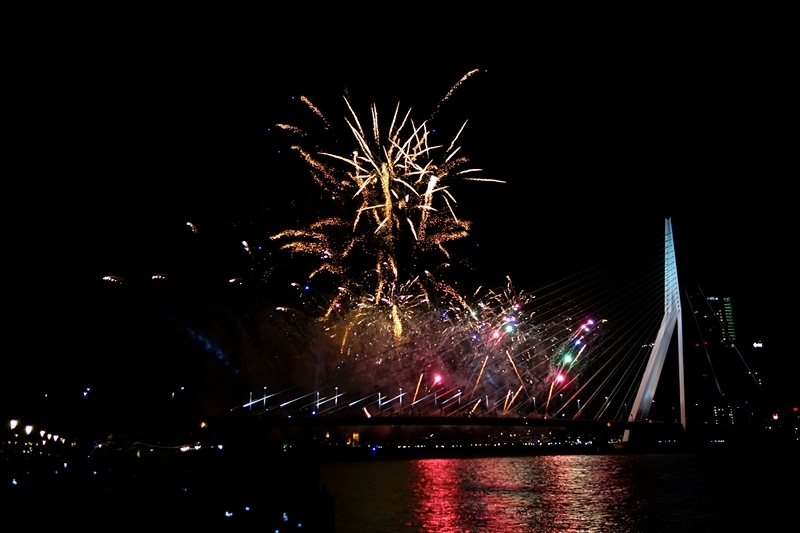 Tourists from Europe and abroad want to be part of this fireworks festival too. 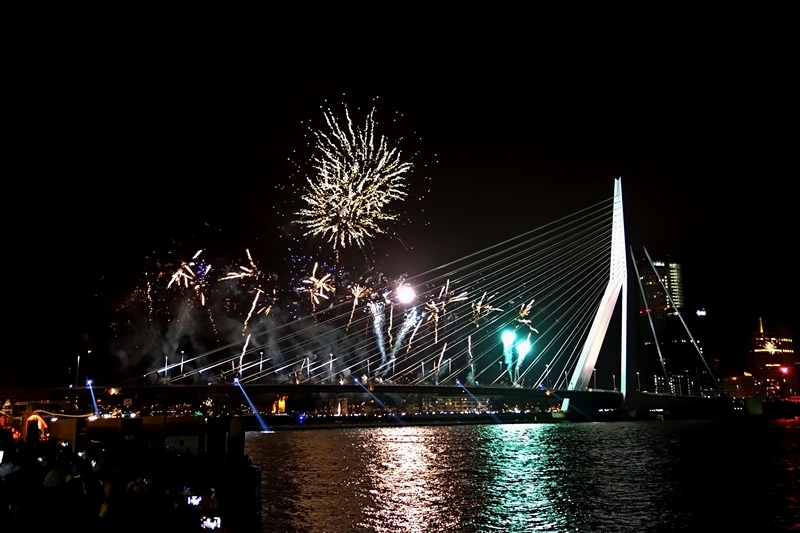 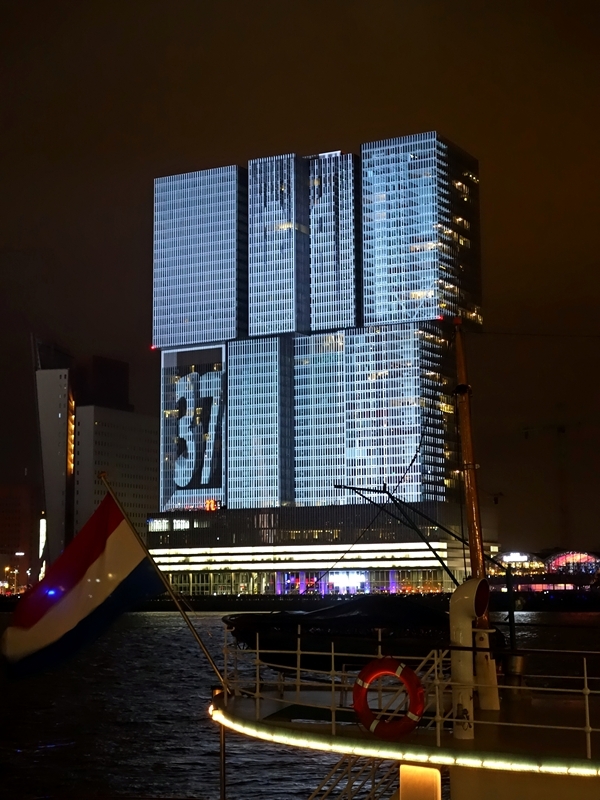 In recent years, most hotels in Rotterdam are fully booked on new year’s eve. 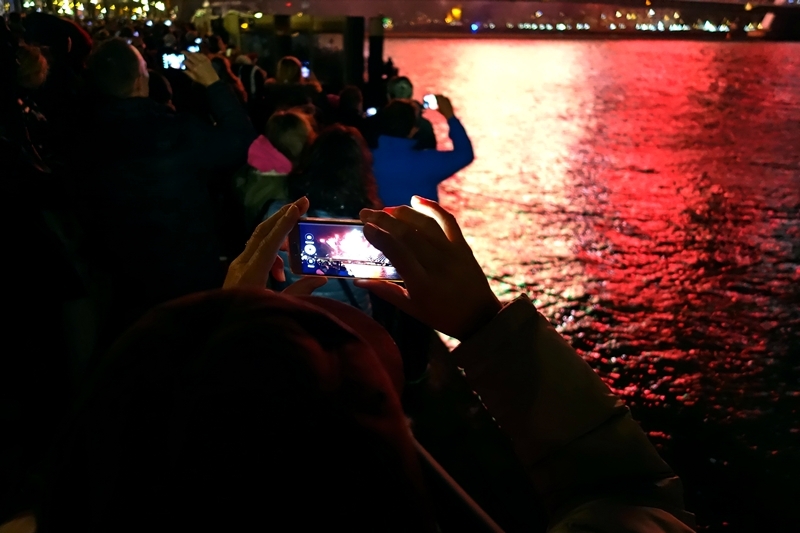 More and more people seem to be interested. 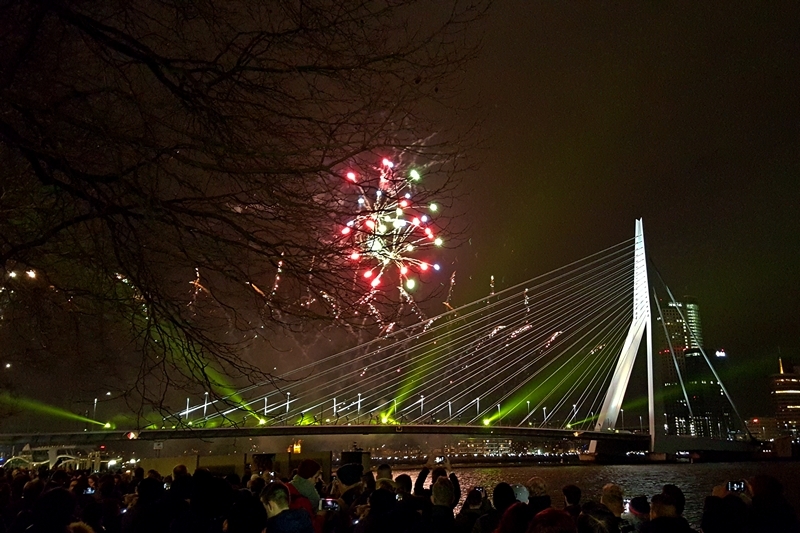 At the start of 2017 Earth TV broadcasted this event live, all over the world. 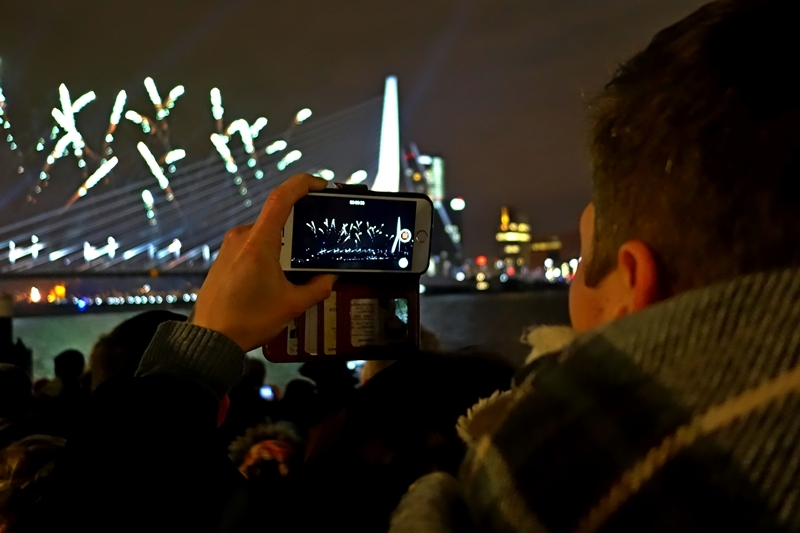 And on Facebook our 2016 Nationale vuurwerk video became a hit. 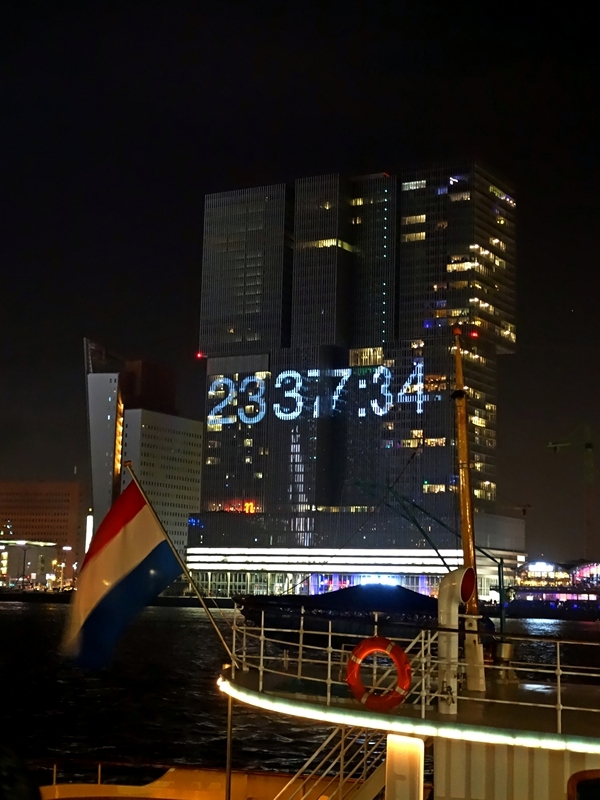 It has been seen 279,000 times. 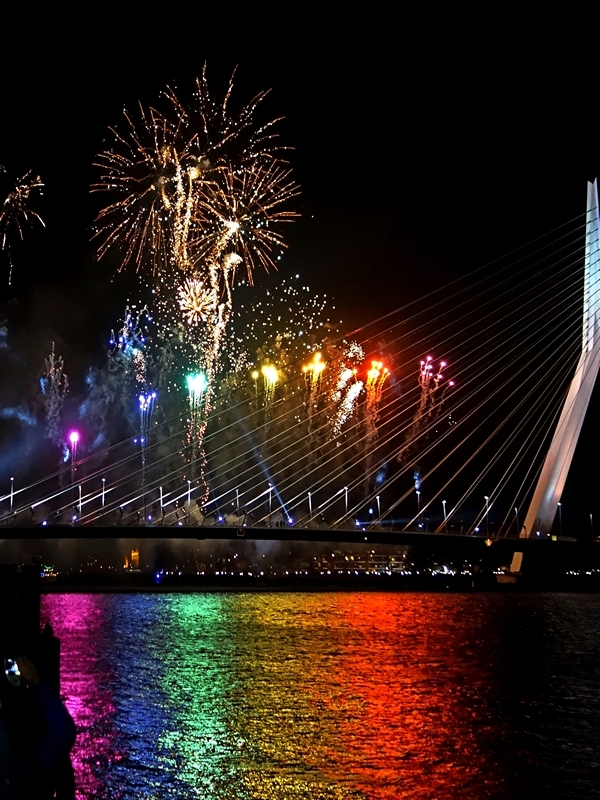 This year for the first time the National Children’s Fireworks take place. 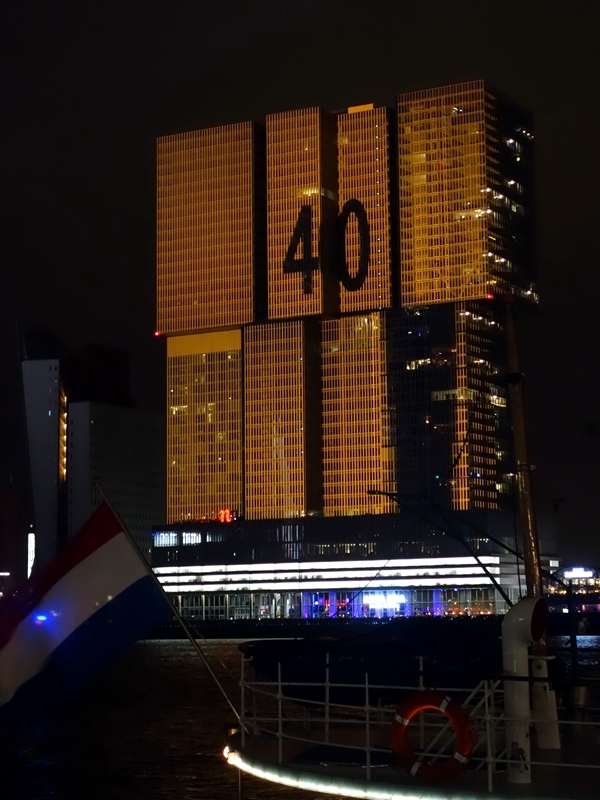 Organized specially for children who can not stay awake around midnight. 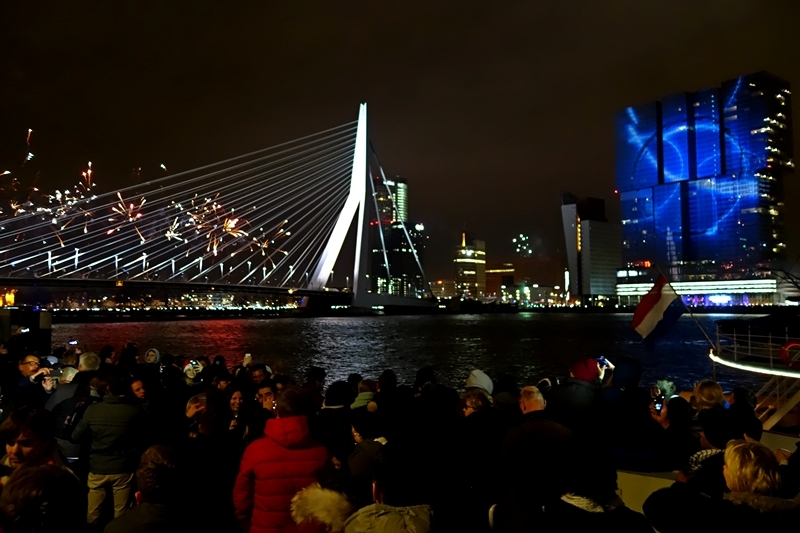 From pontoons in the water at the Erasmus Bridge, the fireworks will be turned off around 7 pm. 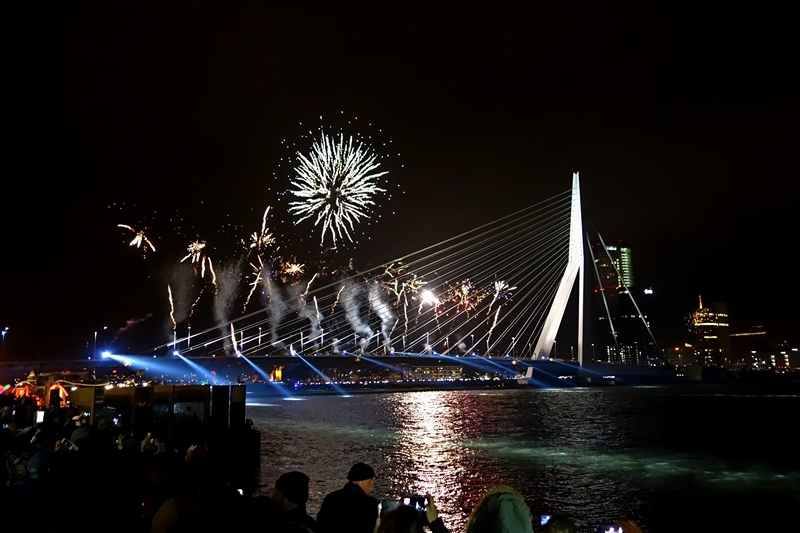 This event takes place at the Holland Amerikakade in Rotterdam. 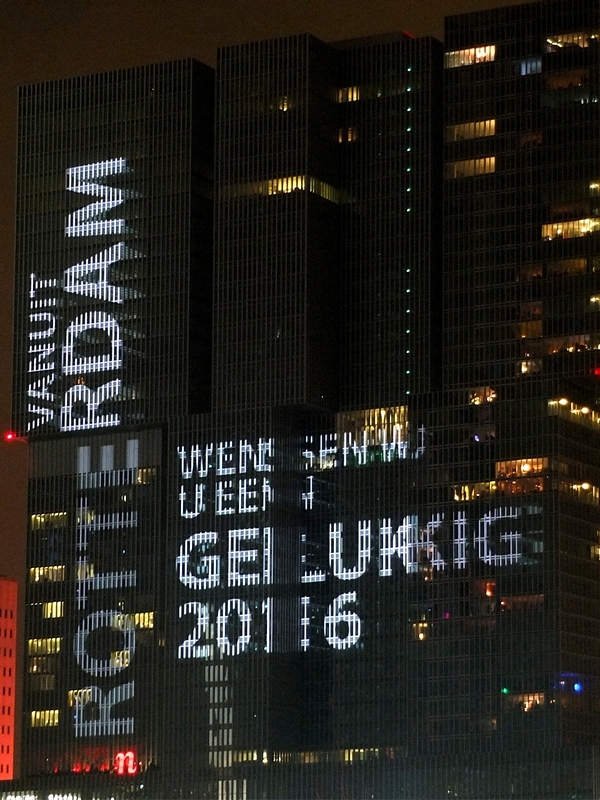 Special thanks to Tom Gerssen and Frank Gerssen, for letting us use some of their wonderful photos.